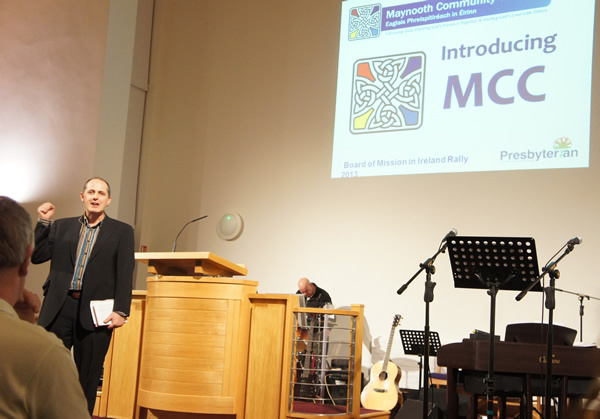 On Sunday 10th March 2013 we traveled up to Muckamore Presbyterian Church near Templepatrick to lead one of this year’s Board of Mission in Ireland Easter rallies. Nineteen of our folks came along. Some of our worship team lead in worship, Miriam and Kenny were interviewed and Keith shared some of the things we have been learning over the last few years. As always the trip was lots of fun and a great opportunity to see what God is doing in other parts of the Island. We were all especially interested in the new church building Muckamore congregation meets in. Some good ideas there for the future….